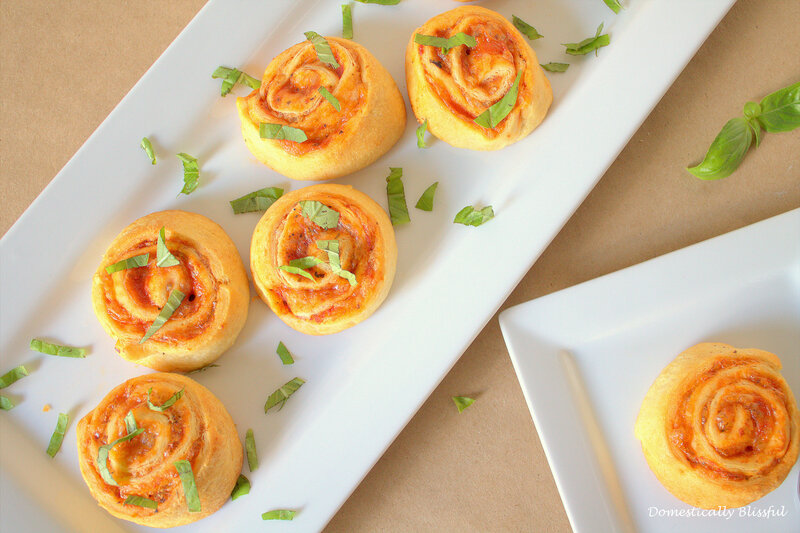 I usually keep crescent roll dough in our fridge because it can come in hand for many quick recipes, like crescent rolls, pigs in a blanket – vegetarian of course, Crescent Cinnamon Rolls, and these Pizza Pinwheels. 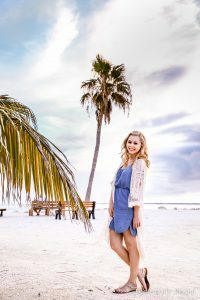 My husband loves pizza, but sometimes when he comes home from school and that pizza craving hits I won’t feel like taking the time to make homemade pizza dough – even though it really doesn’t take that long. 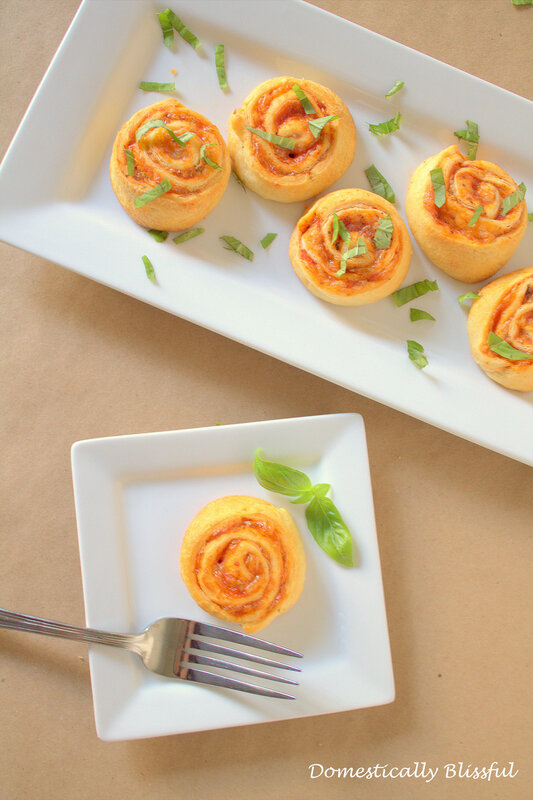 These Pizza Pinwheels are the perfect pizza solution. First, preheat the oven to 375, then open up the crescent dough and lay it on the counter. 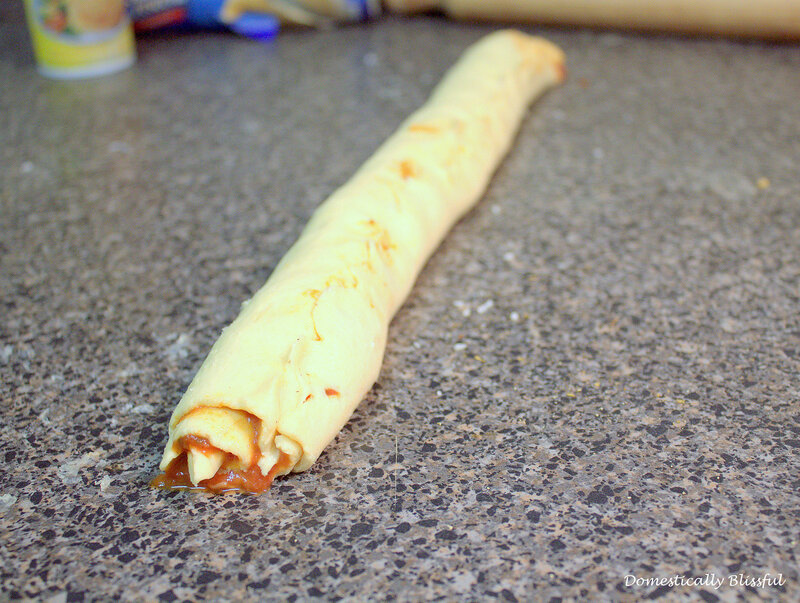 Pinch the seems together and use a rolling pin to flatten it out a little more. 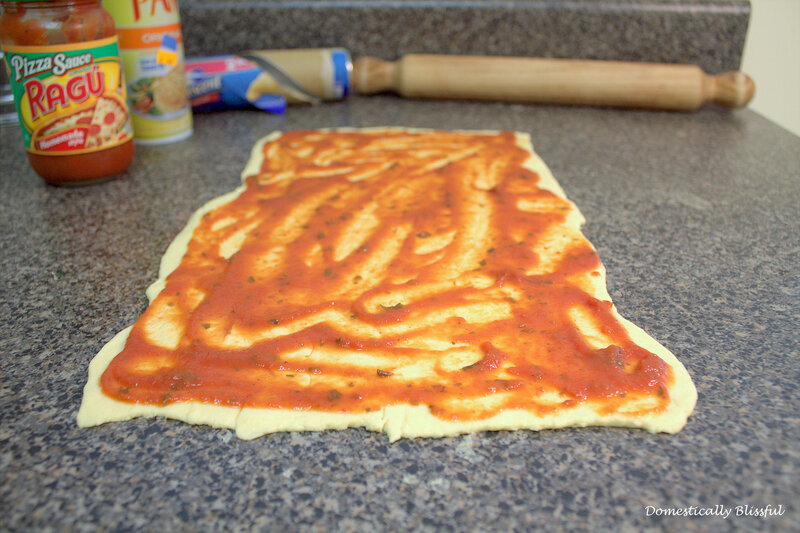 To keep the dough from sticking you can use spray oil or a little bit of flour on both your counter and rolling pin. 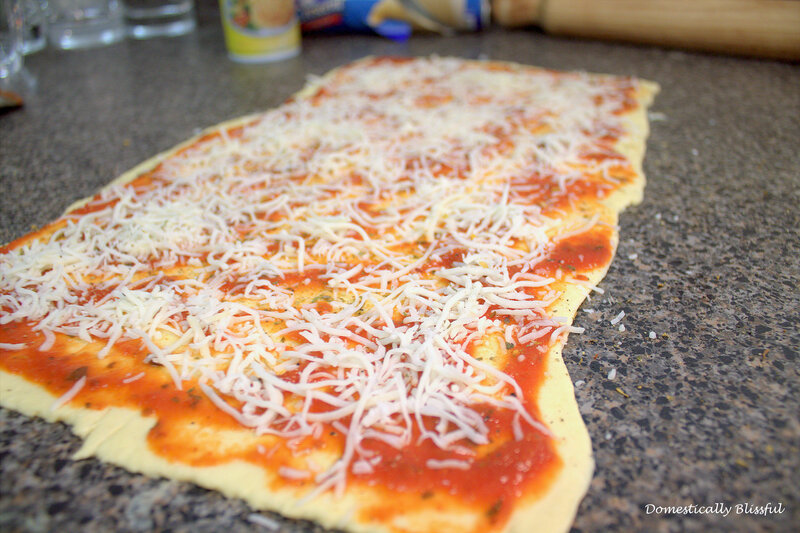 Next, spread the ¼ cup of your favorite pizza or tomato sauce on the dough. You can always add more sauce – just note that if there is too much sauce it might squish out later when you are cutting the roll. Sprinkle ¼ to ½ cup of shredded cheese – depending on your love for cheese – and add your favorite pizza seasonings. 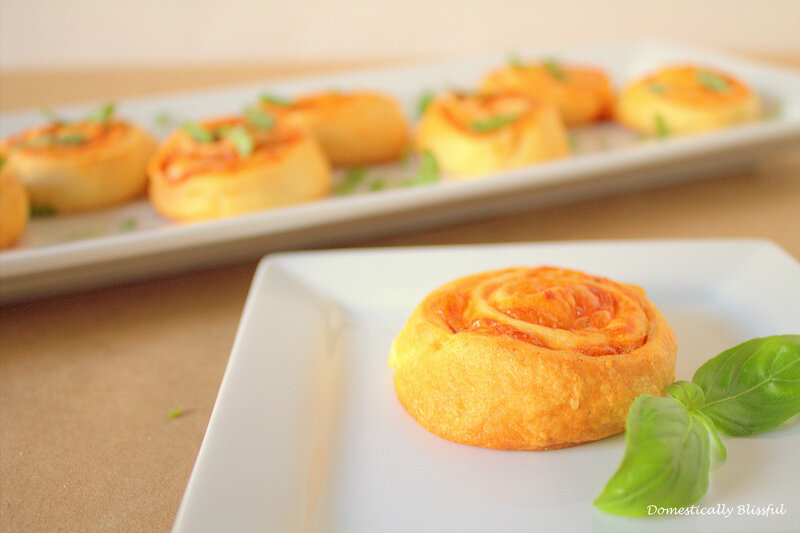 For these Pizza Pinwheels I used a sprinkling of black pepper and Pizza Seasonings by Victoria Taylor’s Seasonings. 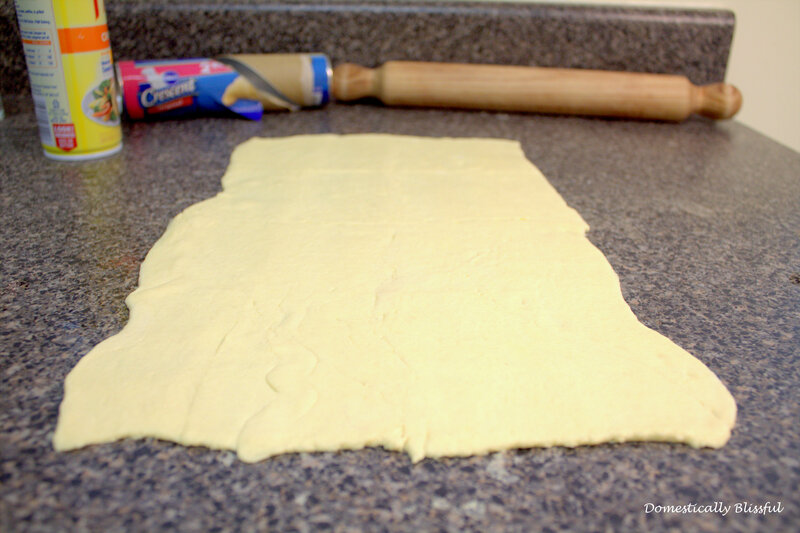 Carefully roll up the dough and pinch the end of the dough to the roll so that it doesn’t fall off while you are cutting. 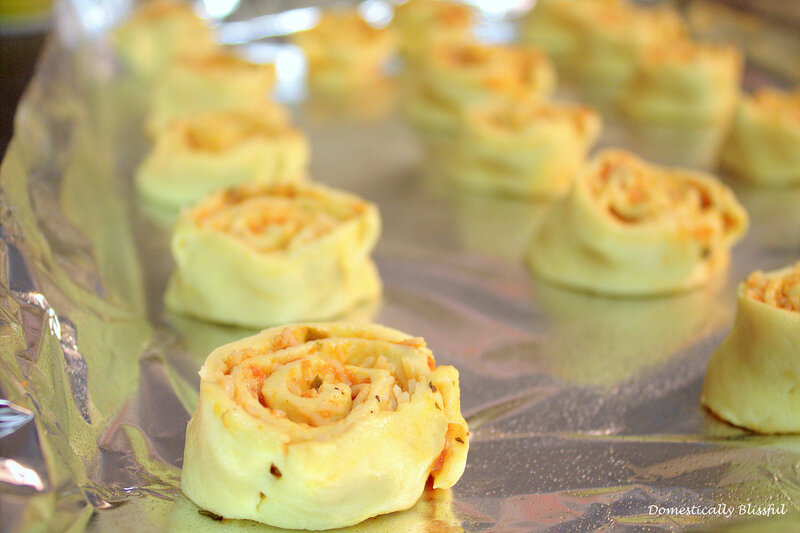 Cut the rolled dough so that each pizza pinwheel is about ½ inch tall and place on a cookie sheet lined with foil and sprayed with oil. 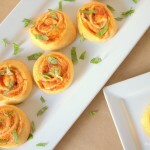 Cook the Pizza Pinwheels for 10-12 minutes or until golden brown. Next, spread the ¼ cup sauce on the dough. Sprinkle ¼ to ½ cup of shredded cheese and add your favorite pizza seasonings.